Donald Trump has said that with his health care plan, nobody will lose coverage, there will be better coverage, and it will cost less money. Sounds impossible– yes? Actually, only politically impossible. Policy-wise, the entire rest of the developed world does this. We are unique in paying so much for so little quality care. The problem is that the rest of the world does this through more, not less, government involvement and regulation. And we know how that goes over with Republicans. Yglesias suggests that Democrats should offer a clear alternative plan. Fortunately, a sound middle ground is available. The version of the public option included in the House Progressive Caucus budget would reduce federal health spending by $218 billion over 10 years, by taking advantage of Medicare’s greater bargaining power. Clinton’s benefit enhancements would cost $90 million, a small fraction of the $218 billion the public option would save. The additional $120 billion or so could simply be allocated to the Medicare Trust Fund, contributing to further extending its life. Last, while there is considerable debate as to the practical impact of Trump’s proposal to eliminate the “lines between the states” and establish a unified federal market in health insurance plans, it seems like an idea worth trying. In the context of a Republican repeal-and-replace plan, eliminating the “lines” would be a de facto total deregulation of the insurance industry. But relying on the Affordable Care Act regulatory minimums while allowing insurers to operate in as many (or few) states as they like seems desirable. You could, of course, also throw some other favorite progressive ideas into the mix, like a Medicare buy-in for people over the age of 55 (though a good public option should make this unnecessary), steps to speed the approval of generic drugs, or the use of more aggressive pharmaceutical price negotiating techniques by Medicare. These and other ideas are longstanding wish-list items that have been floating around in various corners of the Democratic Party. You could, in theory, bundle them up with something technocratically sound but unpopular like a stronger individual mandate, or you could throw in something business-friendly like relaxing the employer mandate. Replacing the “Cadillac Tax” on expensive health insurance premiums (a policy labor unions hate) with a 28 percent cap on the deductibility of health insurance would probably also make sense here. But the great thing about all these ideas is that they’re consistent with both longstanding Democratic ideas and popular things Donald Trump said on the campaign trail. Yep. It’s not hard at all policy-wise to accomplish what Trump wants. The problem is a political one– Republicans are ideologically (one could say, theologically) opposed to greater government involvement (e.g., public option), despite the fact that this would help lead to health care for more people at a lower price. Seriously, it’s really not that hard to dramatically Obamacare and save money doing it. When it comes to the health care, it is simply the theology of the Republican party that prevents us from having nice things. 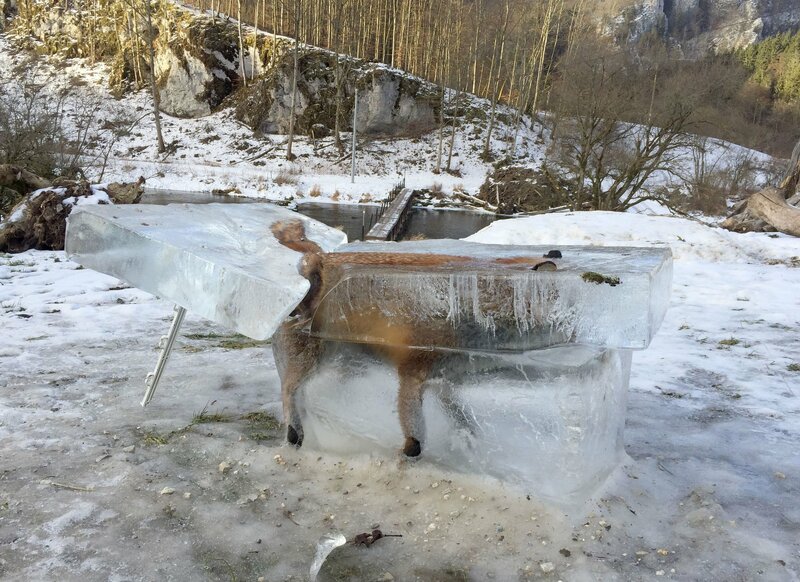 Jäger Franz Stehle hat den Fridinger Fuchs als Eisblock aus der zugefrorenen Donau gesägt.